Tickets are between R$100 – R$240 and the performance begins at 10PM. 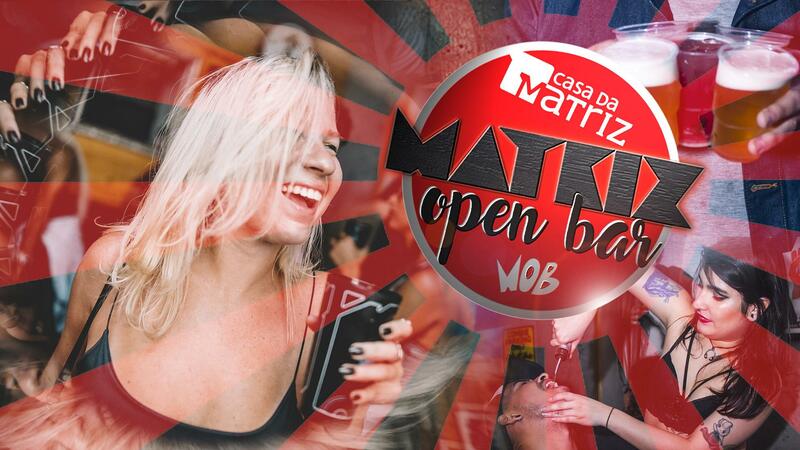 Matriz Open Bar @ Casa da Matriz (Botafogo) – This is the twelfth edition of one of the most popular parties at Casa da Matriz: MOB (Matriz Open Bar) will include heineken, gin and tonics, caipirinhas, caipivodkas, soft drinks and water available all night long. Plus, there are 50 liters of artisan chopp beer. The musical lineup includes two parties on two different dancefloors. On the first dancefloor, DJ Iggor Arehnds will be playing all the best rock, pop-rock, indie and punk for people to dance to the soundtrack of their teenage years. On the second dancefloor will be DJ Lali Moss and DJ Luana Paiva, who will be playing a mix of pop, hip-hop, r’n’b, and baile funk. 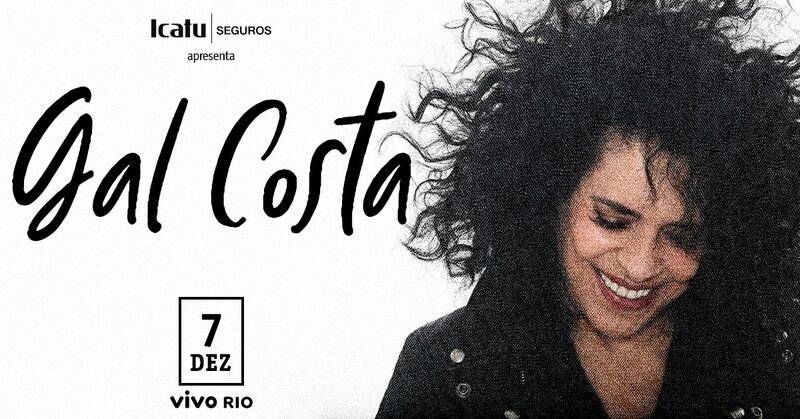 Tickets are between R$40 – R$80 and the night gets going at 11PM. 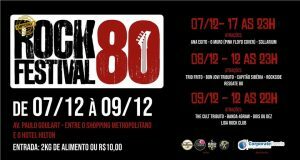 Rock 80 Festival Barra @ Avenida Paulo Goulart (Barra da Tijuca) – Rock 80 Festival begins this Friday with a tribute to the biggest hits of the eighties from both domestic and international artists. There will be fourteen concerts in three days with more than thirty hours of music, plus plenty of beer and food trucks, and even a children’s play area. With lots of beer and gastronomy. The line up for Friday is Ana Egypt, who is on at 6PM, ‘The Wall’ tribute to Pink Floyd at 8PM, and Sollarium at 10PM. 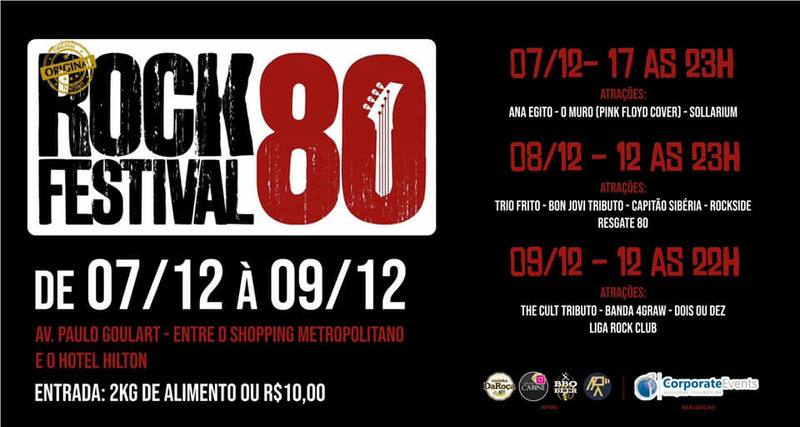 The festival begins at 5PM and is free entry with 2kg of non-perishable food, or R$10.